Your children’s milk teeth (otherwise known as baby, primary or deciduous teeth) start to emerge from 6 months. In this post, we’ll look at the different growth stages and what you can do to keep your children’s milk teeth healthy and clean. It varies from child to child, but the first teeth should start to ‘erupt’ from around 6 months and it is normally the two bottom central incisors . The next ones usually come at the top and then the mouth starts to fill up until there are 10 teeth on the top and 10 on the bottom. By this point your child will be 2½ – 3 years old. Your child will have a full set of milk teeth until they are 6 or 7. At that point, they may come to you one day with a tooth in their hand asking when the tooth fairy is coming! They will have a mix of first and permanent teeth in their mouths up until 12, at which point all of their permanent adult teeth should have fully emerged. 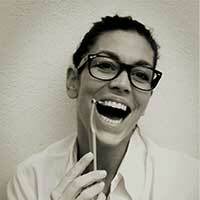 My patients often ask me what is the best way to clean their children’s teeth. And it’s an important question! 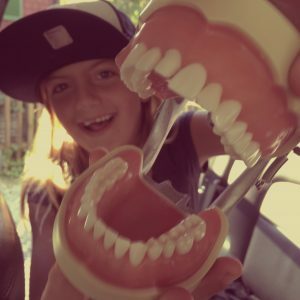 Below is my recommended daily routine to keep your kid’s teeth clean and healthy. Use a specially designed kid’s toothbrush and get them into a routine of gently brushing for 2 minutes in the morning and before bed. Only use a fluoride based toothpaste when your children are old enough that they won’t swallow it. As soon as two of your kid’s teeth touch each other, clean the gap in between with a small interdental brush, if there is enough space, if not floss once a day in the evening. Interdental brushes are proven to be more effective than flossing at cleaning between the teeth but only if the cap is not to tight, don’t force it. It’s possible that you have to use floss and brushes because the variation of the caps are big. The routine above will keep your children’s milk teeth (or deciduous teeth) healthy, combined with annual visits to the dentist. It will also help to maintain their overall wellbeing, because poor oral hygiene can lead to more serious conditions like gum disease. Should my kids use mouthwash? Another question I am often asked by my patients is if their child should use mouthwash as part of their daily teeth cleaning routine. This is not essential for children, but if you are going to introduce this, I would recommend using a kid friendly, alcohol-free mouthwash, and supervising them until you are sure they are not going to swallow it. It is not advisable for young children for that reason. It can be hard to teach your kids a good dental routine and make it stick, but by being consistent with my recommended routine above, you’ll make sure your child has the healthiest mouth possible. 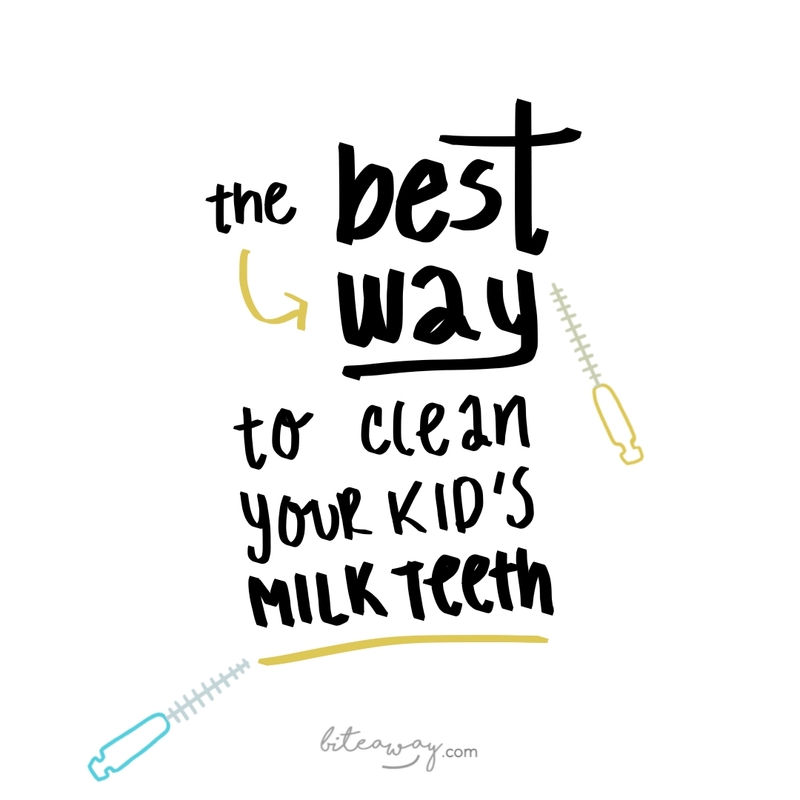 Until they can take over the responsibility of cleaning their teeth for themselves!